Feeling the holiday spirit? There are plenty of arts and culture activities in Austin that will satiate that craving. ZACH Scott Theatre is featuring the timeless family classic, "A Christmas Carol." Just like the music in the films "Moulin Rouge," "Scrooged" and "The Great Gatsby," ZACH&apos;s "A Christmas Carol" is infused with a playful, joyous and heartfelt celebration of the season. Their second stage, Whisenhunt, features Martin Burke&apos;s rendition of "This Wonderful Life" in which Burke plays all 37 characters from the beloved film. The Nutcracker at Ballet Austin. Photo by Tony Spielberg. 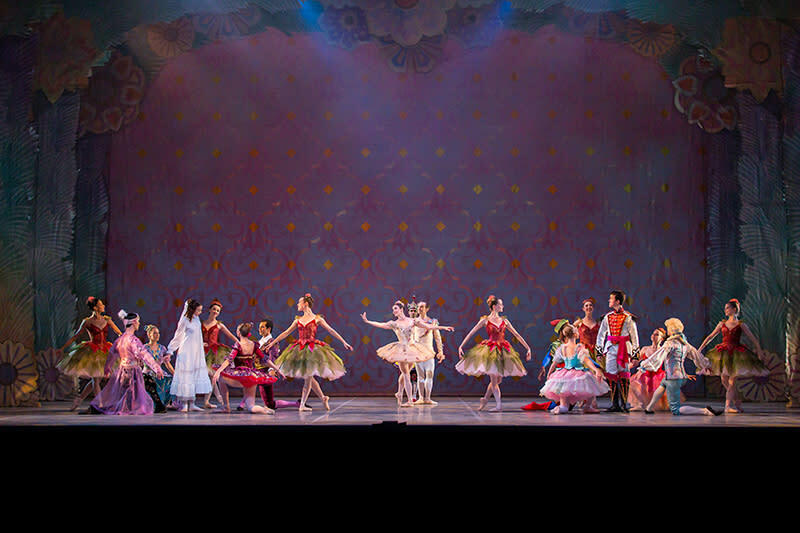 Ballet Austin presents their 52nd Annual Production of the "Nutcracker" at the Long Center. This annual holiday production also includes music by the Austin Symphony Orchestra. The Paramount Theatre features several holiday screenings including "A Charlie Brown Christmas," "White Christmas" and "Polar Express." Scottish Rite Theater presents special programming including "Kids of the Magi" and "A Christmas Phazes." There are also plenty of museums to keep you busy with entertaining exhibitions. The Contemporary Austin&apos;s downtown location features Do Ho Suh, a compelling exhibition featuring architectural settings and abstracted figures inspired by the artist&apos;s biography. The Blanton Museum of Art, in addition to their impressive permanent collection, features James Drake: Anatomy of Drawing and Space (Brain Trash) and La Lnea Continua: The Judy and Charles Tate Collection of Latin American Art. Also, celebrate holiday family days at the Blanton on the first two Saturdays of this month. The Bullock Museum features La Belle: The Ship that Changed History. In addition, the IMAX always serves for a great family holiday treat. During the month of December catch Interstellar featuring Austin&apos;s own Matthew McConaughey, Jerusalem, or D-Day Normandy, both in 3D. The Thinkery, Austin&apos;s new children&apos;s museum, features plenty of family fun for the season. From building yummy gingerbread houses to creating one-of-a-kind holiday gifts, there are activities to engage children of varying ages.